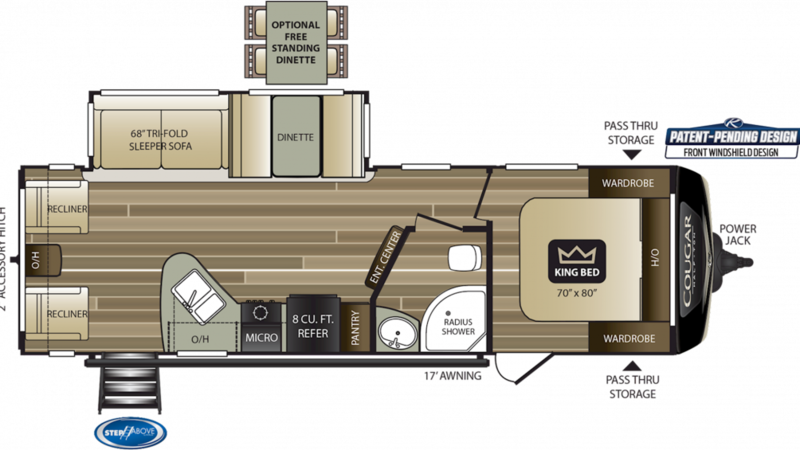 If you're hankering to own the 2019 Keystone Cougar Half Ton 27SAB Travel Trailer, then you need to see us at TerryTown RV! 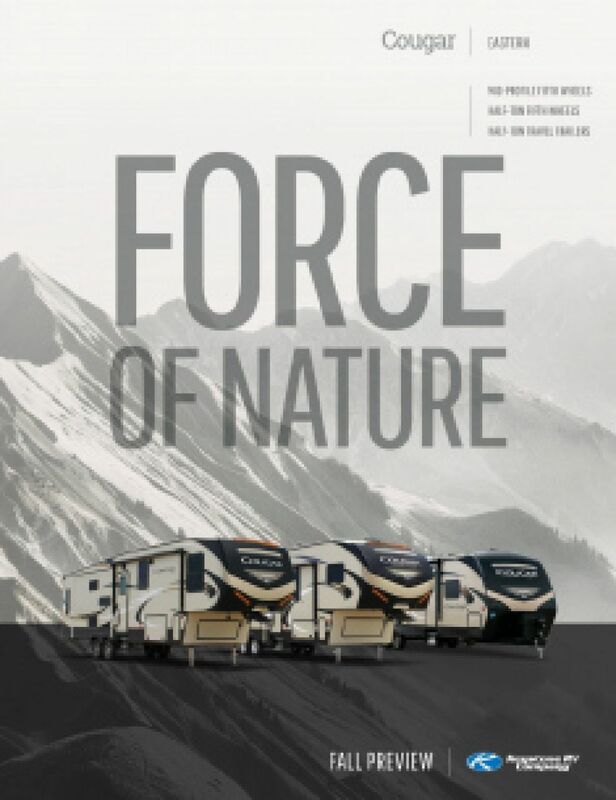 We've been selling all the top brand RVs from the world's best manufacturers for over four decades! We're located in beautiful Grand Rapids, Michigan, and you'll find this great Travel Trailer in our huge inventory at an astonishingly low price! 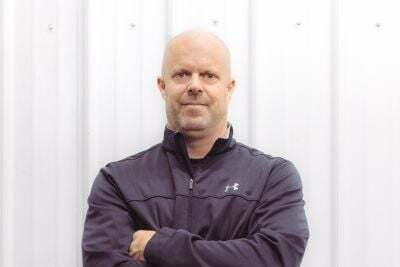 Just stop in and see us at 7145 Division Ave S Grand Rapids Michigan 49548 and one of our friendly, knowledgeable staff will show you how our wholesale prices will save you $1000s! Don't live in the Grand Rapids area? No problem! With our fast, reliable worldwide shipping, this super Keystone Cougar Half Ton 27SAB will be at your door in no time! Whenever your family is ready to hit the road for camping fun, this RV is ready to go, thanks to its hitch weight of 975 lbs. and GVWR of 8800 lbs. When you reach your destination, you'll set up easily and quickly, and you can enjoy the outdoors and fresh air under the 17' 0" patio awning in shade and comfort. At 32' 0" long, 8' 0" wide, with 1 to maximize the interior, you'll have ample living space in the 2019 Cougar Half Ton 27SAB for the whole family! And the climate will be perfect no matter what the temperature outside is, thanks to the efficient 35000 BTU furnace and the modern 15000 BTU a/c unit! The living area stay nice and temperature controlled with the 35000 BTU furnace and the 15000 BTU a/c. This Travel Trailer has a length of 32' 0", a width of 8' 0", and a height of 11' 4". There are 1 slides that provide extra walking space inside! When it's time to feed your family, you won't have to settle for snacks or fast food when camping in this great RV! Instead, you'll cook up delicious breakfasts, lunches, and dinners in the amazing kitchen! It has great modern cooking appliances that include a 3 burner range cooktop, 8.00 cu. ft. refrigerator, and more! And there's plenty of fresh water to drink and clean up with the big 60 gal. freshwater tank! The beautiful bathroom in this RV means no more treks through the campground in the rain, or the cold, or the dark to the messy, damp, and chilly public bathrooms! You'll enjoy the convenience, comfort, and privacy of your own modern shower, handsome sink vanity, and sleek, sanitary Foot Flush commode! The 60 gallon gray water tank and 30 gallon black water tank store all the used water and waste, so you don't have to deal with it while you're having fun on vacation!